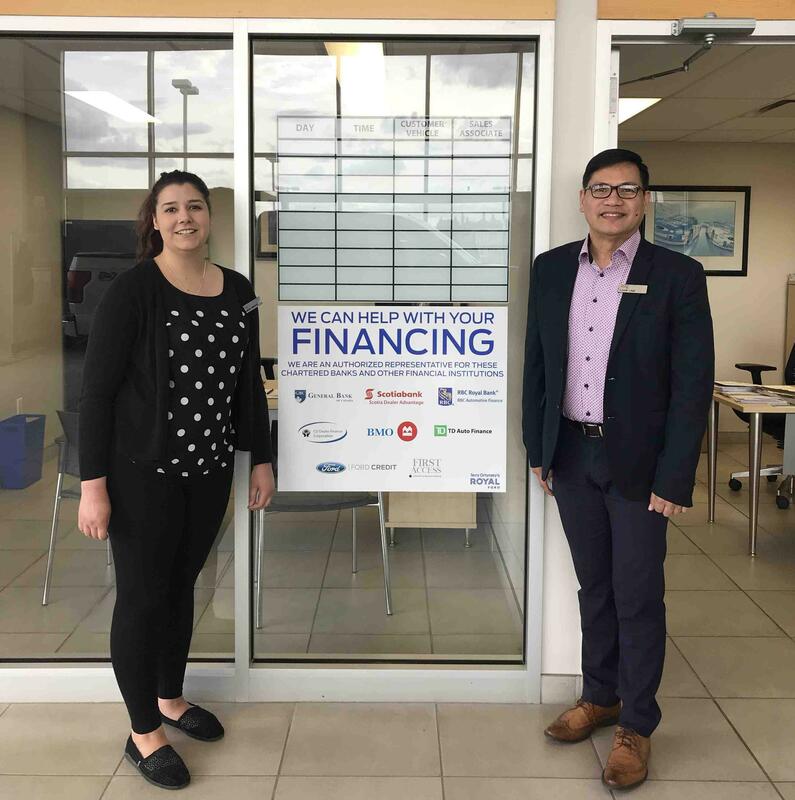 Automotive Financing - the Royal Ford Way in Yorkton, Saskatchewan! Buying a vehicle can be a challenge to some people, especially to those with limited budget. Given this, our main goal at Royal Ford Finance is to help customers find the car that meets their needs and with a payment that they can afford. As a financial services advisor, I am responsible for setting up buyers’ financing and ensuring that they understand their finance terms. We present them with the options for financing, such as rate, term (length of the loan) and options for cash down and allow our customers to decide what payment they want based on those terms. There is no pressure from us for customers to choose a shorter or longer term to finance their vehicle. However, we do encourage buyers to choose a payment that they are comfortable with and a term that will suit their driving habits. (1) How long do I intend to keep the vehicle? This may influence how long you finance the vehicle that you are buying. (2) What payment am I comfortable with for the entire term of the loan? This can impel the frequency of your payment as well as the length of your loan. (3) How much down payment should I put on the loan? This will affect the payments on the loan. The more money you can put down, the lower the payment is. (4) Should I finance the vehicle or pay cash? Financing may be a great option for you, especially if you are purchasing a new vehicle. So what happens when a customer like you enters the Finance Office of Royal Ford? c. Vehicle Protection Options - Undercoating, Paint Protection and Interior Protection, to lengthen the life of your vehicle. Know what is the best part? We are commission-free, thus we are presenting these options so YOU can choose what is best for you, with no added pressure from us. Being commission-free and giving our customers a full disclosure experience is Royal Auto Group’s way of doing business. Our customers can leave our office, with the keys of their new vehicles, understanding exactly what they are paying for.